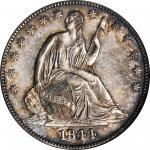 1833 Capped Bust Half Dollar. O-105. Rarity-2. 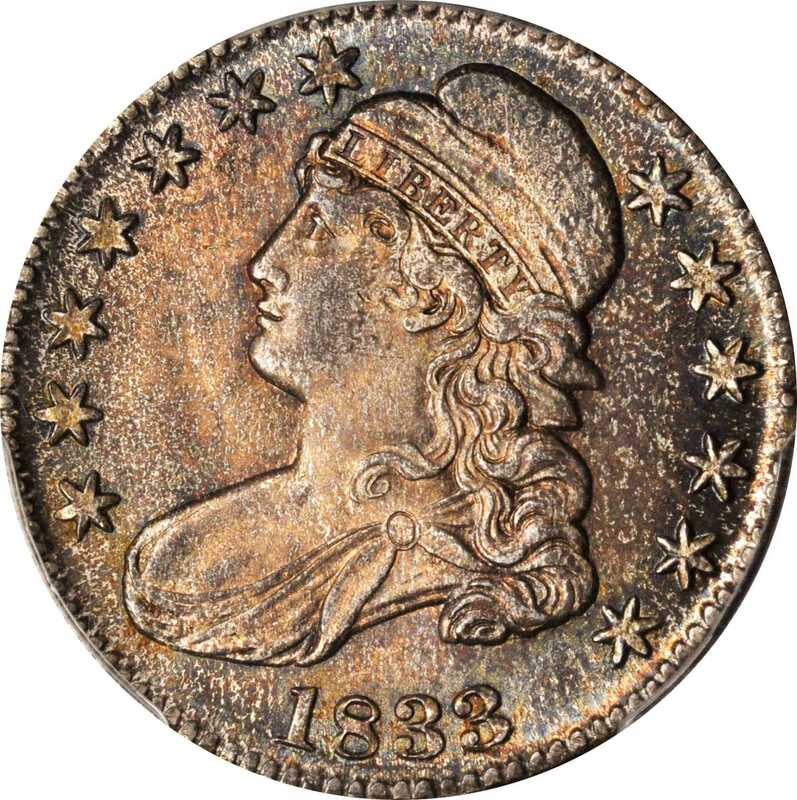 MS-65 (PCGS).Slightly speckled medium rose and blue-gray iridescence dominates the appearance of this wonderfully original Gem. 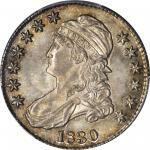 Striking quality is superior for a late date Lettered Edge Capped Bust half dollar, both sides with fully denticulated borders and most design elements boldly rendered. 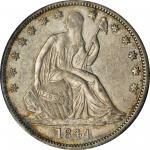 A full endowment of lively satin luster rounds out an impressive list of physical attributes for this significant and appealing coin. 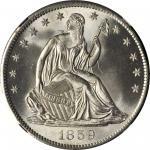 Wide repunching to the final letter S in STATES identifies this reverse die, which was used only in the 1833 O-105 pairing. 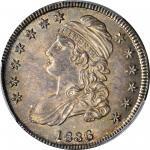 Although not included therein, this PCGS MS-65 is tied for CC#1 per the listing provided by Stephen J. Herrman in the Autumn 2018 revision to his emAuction & Mail Bid Prices Realized for Bust Half Dollars: 1794-1839/em.